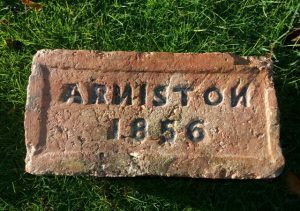 Home / Scottish Brick and Tile Industry / Arniston Coal, Lime & Brick Works, Gorebridge, Midlothian. 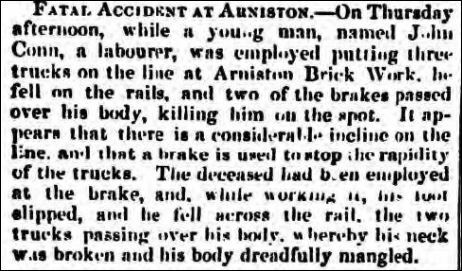 Below – 09/06/1864 – Southern Reporter – Fatal Accident. 1868 – John Christie Arniston Coal, Lime and Brick Works, Gorebridge. 1869 – Robert Clark, Manager. 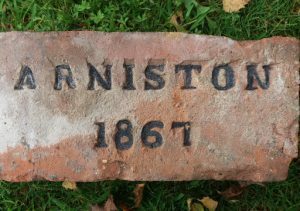 08/12/1869 – Advert – Arniston brick and tile works, Gorebridge – Wholesale agent for Edinburgh and district – H. Harding, St Stephen Street. 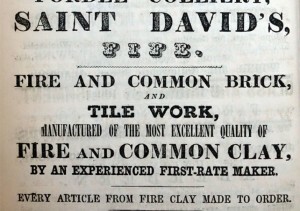 10/03/1877 – Glasgow Herald – Man – wanted at Fire Clay Work in Mid Lothian, a man capable of making vases, rustic and other fancy goods. Apply to Mr Clark, Arniston Colliery, Gorebridge. 14/04/1877 – Alloa Advertiser – Letters from John Christie to Henry Stirling at Clackmannan brickworks regarding alterations made at Arniston brick works. 2 Lansdowne Crescent, Edinburgh, 3rd December, 1874. Dear Sir,-Yours of the 1st has been forwarded to me from and in reply to your application I have no hesitation in saying that the concentration of the smoke outlets of the rectangular Brick and Tile kilns at Arniston into two dwarf chimneys was a decided improvement, both as regards to consumption of fuel and the diminution of smoke, and you need have no scruple in recommending or carrying out any alteration similar to what you did then, for the attainment of similar results. Yours truly, John Christie. Mr Henry Stirling, Brick Works, Clackmannan. The above kiln burns smoke, saves one-third of coal and time, and makes better job. 2 Lansdowne Crescent, Edinburgh, 5th March, 1875. Dear Sir,-I am in receipt of yours of the 21st ult., and consider the Pan Mill with Perforated Bottom delivering into the horizontal Pugmill underneath. Such as we fitted up at Arniston. a decided improvement on the ordinary Pan Mill, especially when composition Bricks are made from shale and common clay ; but it is equally well suited for Fire-Clay. From the regularity of the mixture in the former description of Bricks a better Article is produced, as no small stones can get through the bottom, which, in the ordinary mode of milling clay, causes considerable breakage after the Bricks are burned. Yours truly, John Christie. Mr Henry Stirling, Brick Works, Clackmannan. The above mill produces Bricks Twenty per Cent. better article than the old Pan and Pugmill, and not one broken in place of ten. Plans, &c., furnished, £10 for each. 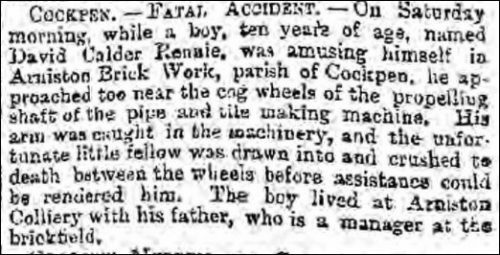 Below – 10/03/1884 – Glasgow Herald – Fatal Accident – 10 year old boy. 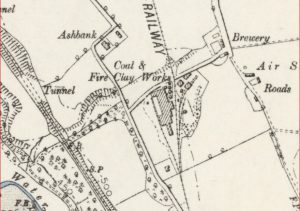 Below – 1892 – Arniston Colliery and possible location of the brickworks? 1893 – 1896 – Arniston Coal Lime and Brick Works. Gorebridge. Robert Clark Manager. 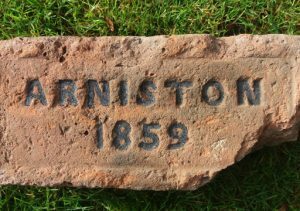 05/08/1895 – Edinburgh Evening News – A most interesting feature at the Arniston Colliery is the brick and fireclay work run in connection with the mines, in which is used a very large quantity of the waste excavated, chiefly fireclay and shale. The processes of drain pipe and brick making by hand and by machinery are very interesting. 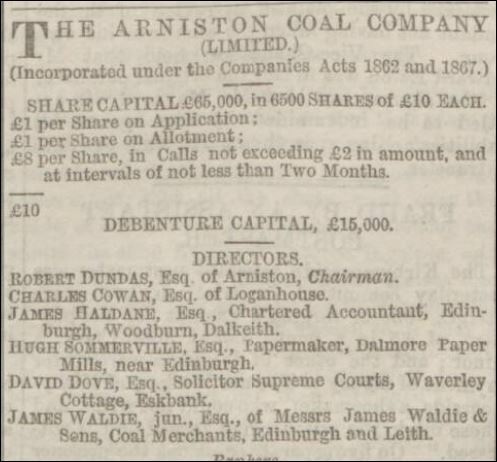 1896 – Arniston Coal Company Limited – Jas Malcolm Manager Arniston, Gorebridge. 1903 – James Malcolm, manager. 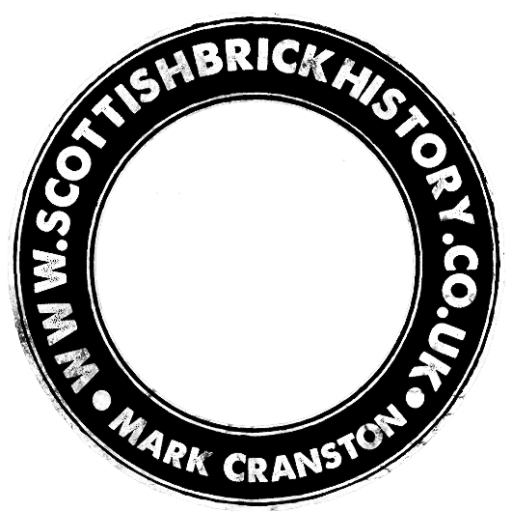 Next Article Shields Brick and Tile Works, Tradeston, Glasgow. 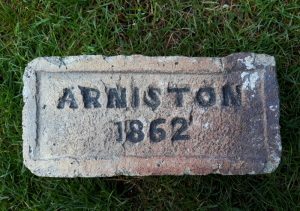 Found at Newlanrig, Gorebridge Arniston Coal, Lime & Brick Works, Gorebridge, Midlothian. 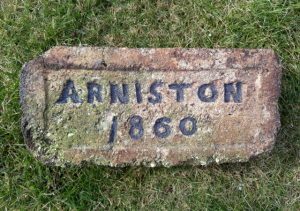 . . . . Below – the same stamp (Although lettering is bigger) on a red brick found at the old Arniston Colliery.